Paul Pritchard joined in with a group of HOPES residents to trek the Waterworks Reserve. 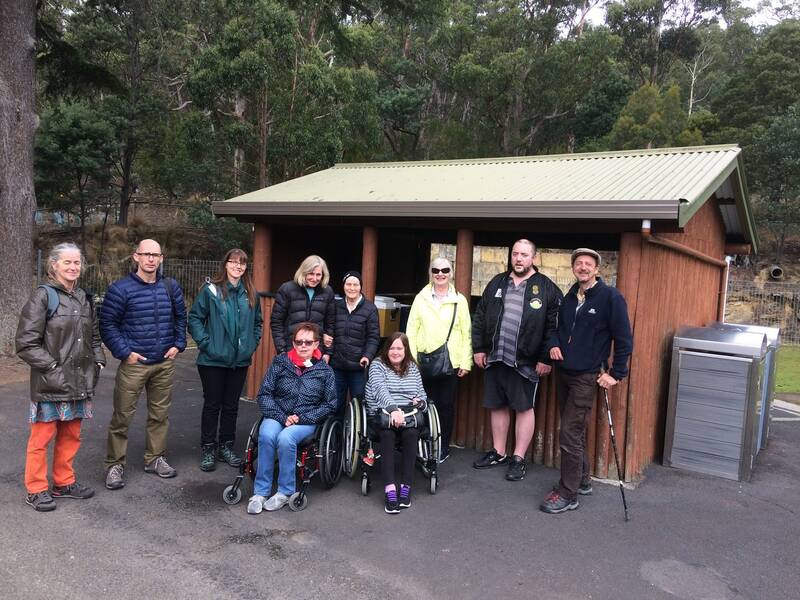 Paul Pritchard ably led a group of HOPES residents, friends and supporters on a walk and wheel around the Waterworks Reserve, South Hobart on the 22nd March. The weather was a lot kinder than the last time we planned this adventure, with a BBQ shared together afterwards. It was enjoyed greatly and another one is planned for later in the year, possibly at Risdon Brook Dam.